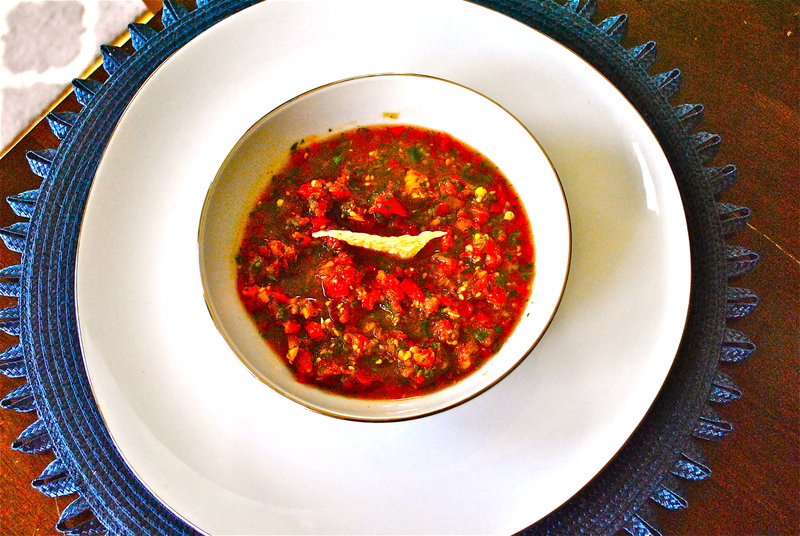 A huge food fan favorite out there is restaurant style salsa. I have been making this EASY salsa for several years, and this past weekend I got the opportunity to make it with pretty much all freshly picked vegetables from my very first vegetable garden! You can do this with vegetables easily found at the grocery store or your local farmers market. Gorgeous goodness tomatoes of varying kinds, jalapeno pepper, Cajun belle peppers, cayenne peppers, habanero peppers, cilantro, limes, kosher salt, garlic and cumin! 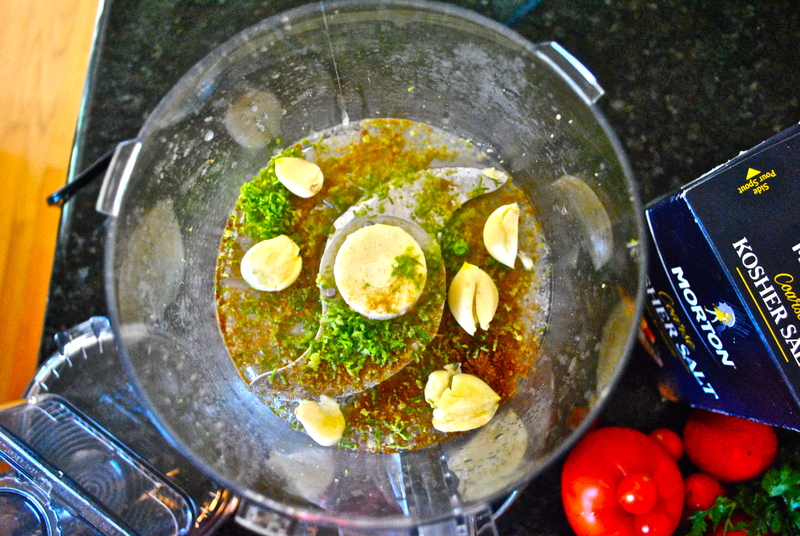 Cumin, Kosher Salt, garlic cloves, zest of one lime and the juice of 2 go into the food processor and pulse to chop. 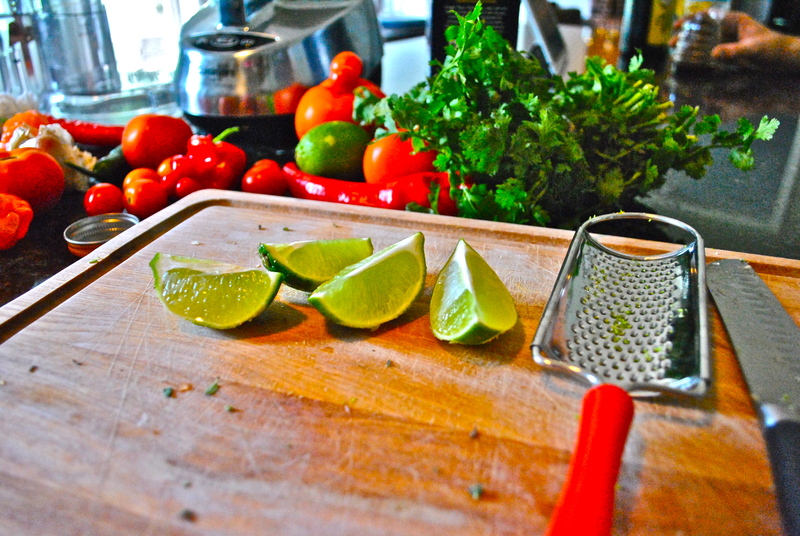 Next throw in the loosely chopped cilantro. 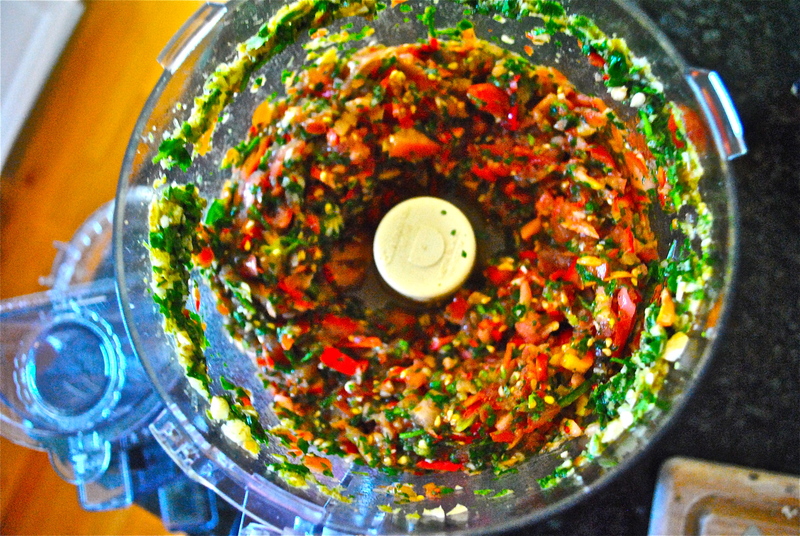 Pulse that on its own, and then begin adding the peppers pulsing as you, periodically scraping the sides down. Start adding in the tomatoes. I first add in quartered tomatoes, seeds and all. After about half way through, I start removing the seeds so the salsa doesn’t get watered down. You want some juice in there, but you don’t want the salsa to be overly watery. And there you go! Salsa! 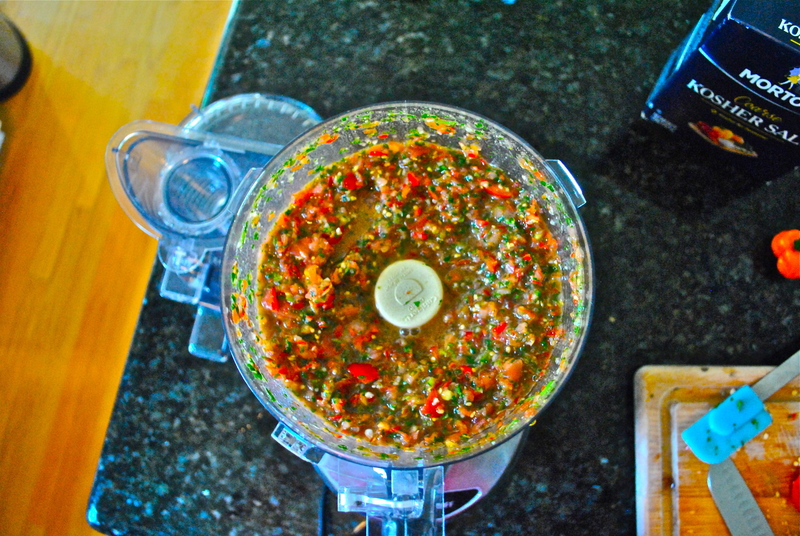 Restaurant quality healthy salsa in a few minutes, knowing that this is healthy and delicious. Servings: This is a big recipe, big enough for a party of 8 – 10, you can always double or cut it in half. 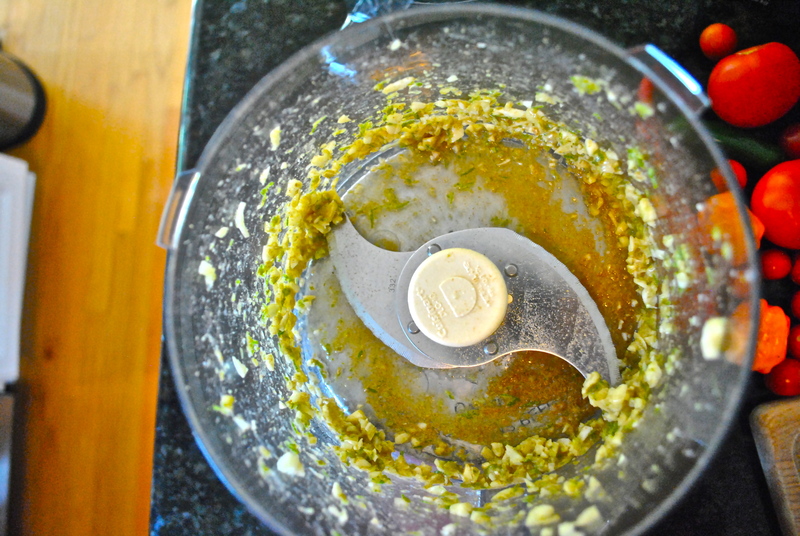 If doubled you will probably have to do two sets in the food processor, make one amount, dump in a large container or bowl, do the other, dump, then stir!! Limes! Zest of a full lime and juice of two. You can always add more, especially if you find you make the salsa too hot. Citrus defuses heat! Peppers approximately 6 – this is completely your call all depending on the HEAT of the salsa you want. If you want a mild salsa stick to green, red and yellow belle peppers (the basic big kind). As you want more heat and fire you can add in crazier peppers…probably safe to start with a seeded jalapeno and so on. If you seed the peppers they are less hot, leaving seeds in make them hotter!! I learned this the hard way. WARNING! If you are handling HOT peppers like jalapenos, cayenne’s and habaneros – WEAR GLOVES! These various peppers leave oils on your skin that can irritate and burn things like your nose, eyes and facial skin. Please be careful. If you do not have gloves, try to minimize contact (especially with the seeds) and wash your hands thoroughly and repeatedly. Phew PSA is over. Make sure the stems of your peppers are cut off, quarter them, seed to your liking, toss in and you know it, pulse! 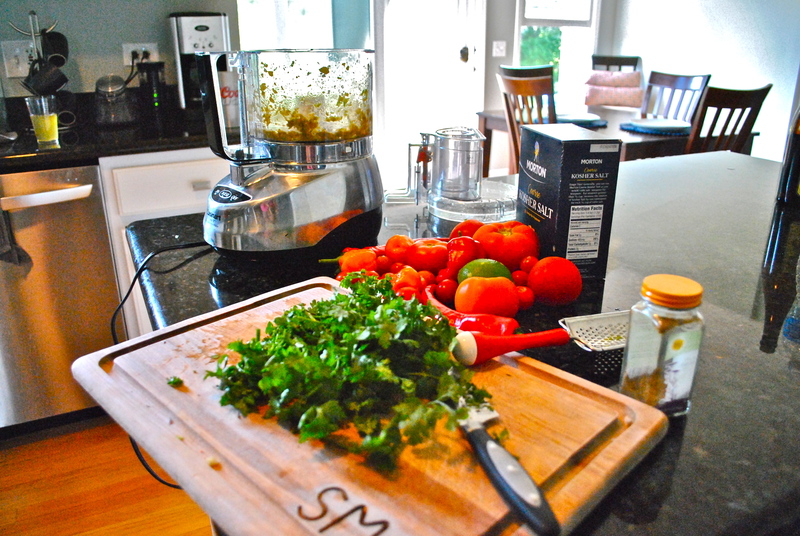 Add about half of your tomatoes (with tops cut off)…pulse!! Seed the other half, throw in and pulse some more. There you go friends! 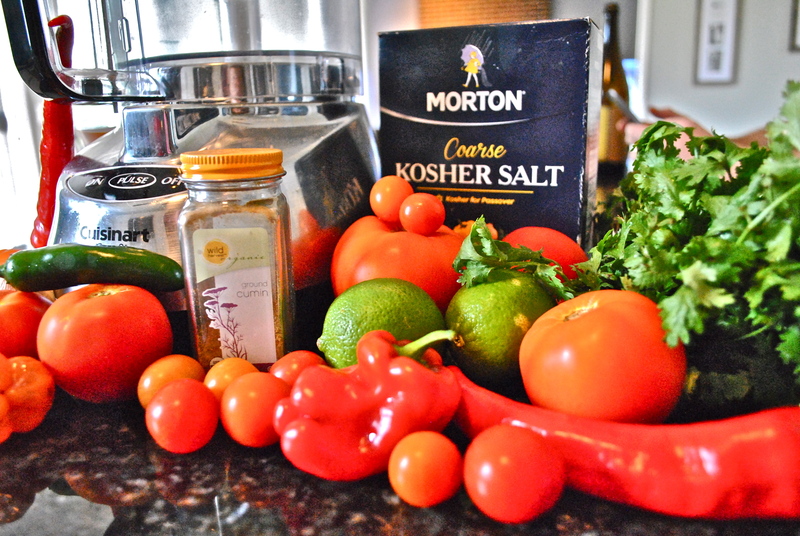 Healthy restaurant style salsa at your finger tips. So grab your favorite chips and enjoy! 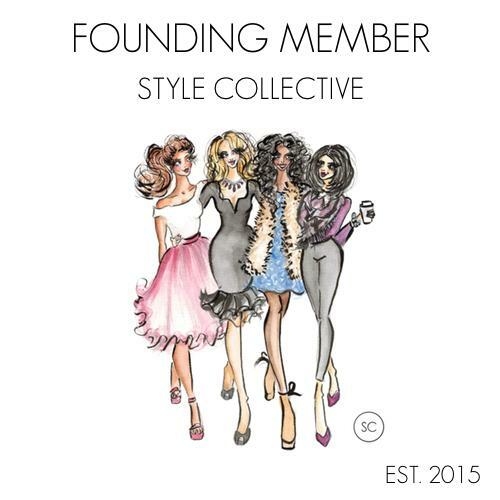 Previous Post On Sale: Fall Outerwear! 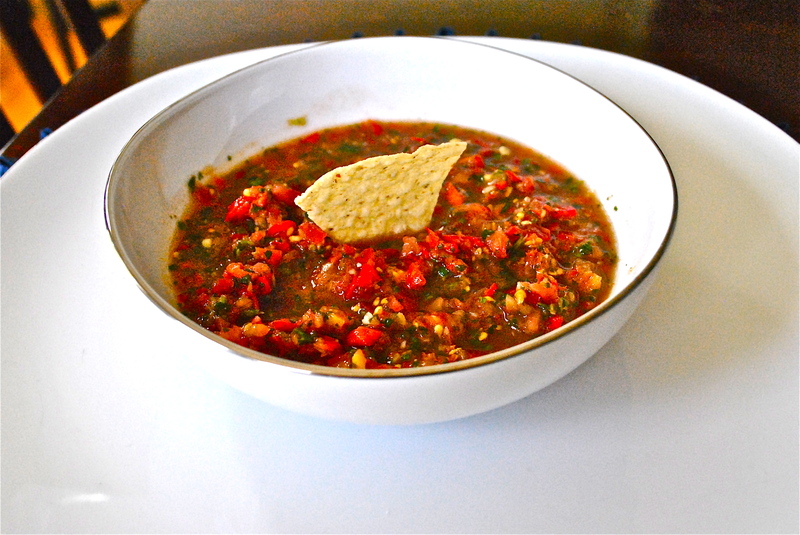 I love this salsa…but less spicy than you like it! Also, love your soux chef on his phone in the background.